Firecrews from Louth attended a tumble dryer on fire in a kitchen this afternoon. 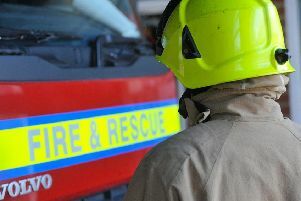 The fire was reported at 2.26pm on Longleat Drive, Louth, where a fire service spokesperson said the clothing within the tumble dryer was badly burned. The flames also damaged the machine itself as well as somke logging the kitchen. Fire investigators say the cause was accidental and no-one was hurt.